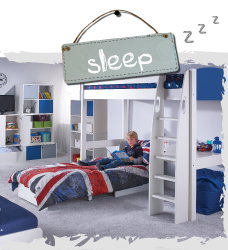 Stompa UK furniture for kids rooms, Bunks and beds, storage and more. 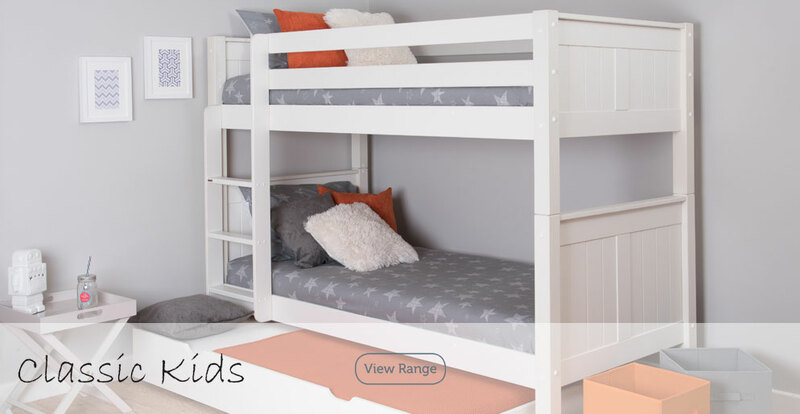 Great space-saving beds to study, draw, read, store books, pencils, files and much, much more. Homework has never been so much fun with our exciting combinations. 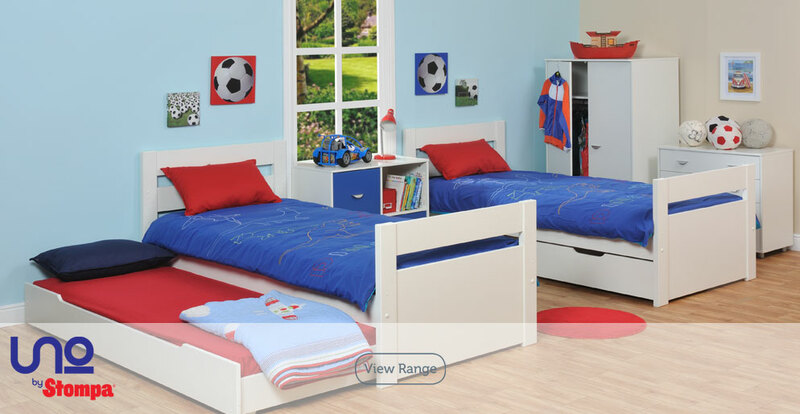 Keep the bedroom tidy by creating an environment that encourages your children to store away their toys and games. 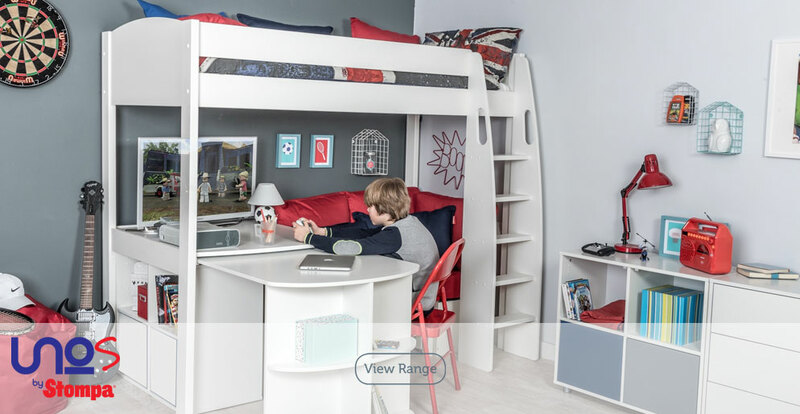 Our ranges of furniture allows your child to neatly hide away the clutter that can sometimes occur within your their room. All children love having their best friend stay for a sleepover, although there's usually more talking than sleeping! 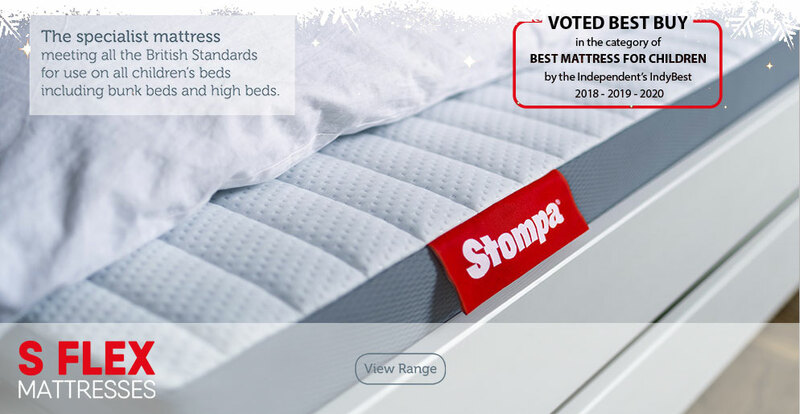 Whether it's a Highsleeper with a fold-out Chairbed or a Trundle Bed that glides under the main bed, we have the answer.